If you’re calling Alabama home for Thanksgiving this year, you’re in luck: this state has a little bit of everything you need to make it the best Thanksgiving yet. 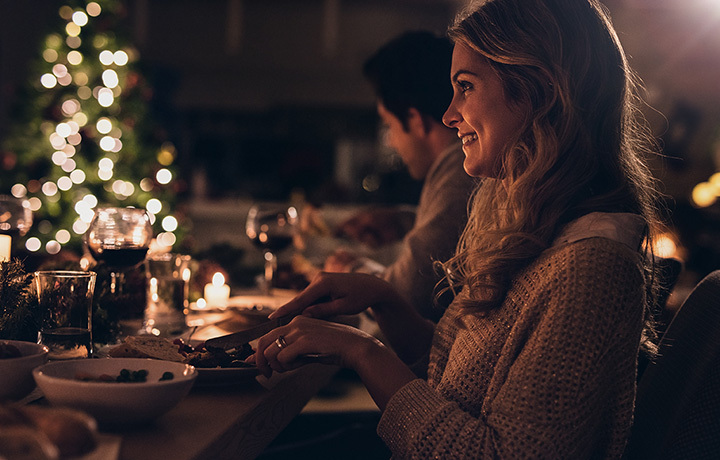 From food to fun and everything in between, there’s no end of things to see, do, and taste, both before and after the turkey’s been carved. Start your long holiday weekend with this guide to the perfect Thanksgiving in Alabama. Start your Thanksgiving with a little pre-gaming the night before at Dram Whiskey Bar. They feature an extensive collection of whiskey, bourbon, Scotch, and other spirits to suit every taste, served alongside southern food favorites. You can cash in on their Wednesday Happy Hours two-for-one until 6 p.m.
Deck out your home for Thanksgiving company with a trip to Caffco Floral Outlet. Inside you can scoop up all the flowers, wreaths, and greenery to create a festive centerpiece or spruce up your front door for your guests. Save time in the kitchen with a trip to Hope’s Cheesecake. These delectable desserts give you one less thing to prepare, and they taste way better than grocery store ones. If you don’t live in the Gulf Shores area, order one ahead of time from their online shop—your fellow diners will be most thankful you did. This charming little eatery specializes in honest-to-goodness turkey sandwiches year-round, but they also make your Thanksgiving feast a little easier on you by providing the main star of your Thanksgiving feast. They ship out of state, plus they offer three pickup locations in Alabama (Montgomery, Ft. Deposit, and their hometown of Greenville). You can also reserve your Bates bird at one of the local Piggly Wiggly stores, too. The annual Thanksgiving Day Parade in Montgomery is a family tradition for many. The parade starts on Thanksgiving Day at 9 a.m., making its way through downtown as a precursor to the Turkey Day Classic football game at Alabama State University. As the largest shopping mall in Alabama, you can find everything you need for everyone on your list with a little Black Friday shopping. With two floors of stores and all the top brands, you can start your shopping extravaganza as early as 6 p.m. on Thanksgiving, and the doors won’t close again until 10 p.m. Friday night. This mall also has an amazing Christmas store dedicated to all things holly and jolly. After you emerge from your turkey coma, take in a hockey game on the Friday after Thanksgiving. The Birmingham Bulls, a SPHL team, are slated to play Evansville starting at 7:30 pm. Though this museum will be closed on Thanksgiving Day, you can squeeze in a visit the day before or after to pay homage to our country’s first people who made the first Thanksgiving possible. Situated on a beautiful park, you can catch glimpses of the remnants from the Native American hunting grounds, along with area wildlife, waterfalls, and prehistoric rock carvings and drawings. This turkey trot takes place on Thanksgiving Day, giving you plenty of time to burn those extra calories. Proceeds from the race will be donated to Backpacks and Beyond and the Winfield Police Department’s Toy Fund. There’s also a one-mile fun run for those who can’t bear the thought of running over three miles if nothing is chasing them. Dedicated to providing food provisions to local homeless, families, and individuals, there’s no better way to show your appreciation for your own life than to provide help to others. Volunteers who want to help with the evening food distribution can show up Mondays, Wednesdays, and Thursdays from 4 p.m. until 7 p.m., no prior arrangements needed.